You are invited to join the Princeton Community Works Planning Committee! 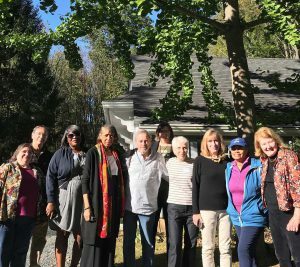 The Princeton Community Works Planning Committee includes many volunteers, who serve in various ways in non-profit and volunteer organizations throughout New Jersey. This dynamic group of professionals gathers weekly to develop a professional, affordable and educational conference in January. Do you have ideas regarding educational topics for non-profits? Then please volunteer for the 2017 Conference Planning Committee. Sign up and we will be contacting you shortly! You will be put on the list to receive the weekly meeting announcements. Can’t make weekly meetings? Consider volunteering for the night of the conference. Learn more on the How to Get Involved page. Go to the meeting schedule page.